Some OCDs are not "the best possible results" (EL 4, EL 7, EL 8, EL 9). 4. Acid of Goo - experiment with "Acid Balls"
5. Hole in the ground - finding the Ancient WoG Corp. - "Ivy Tower 2"
10. The last experiment - the IDEA-BOMB in use! Version 0.4.2 - deleted "depends on" - that should have never existed. Version 0.5.1 - fixed level 7 (with changing required balls number), changed OCD for level 10. Vesion 0.0.2* - experiment with moveing levels into chapter 5. Added level sequence. Version 1.0.1 - levels still in chapter 5. Added custom pipe kind. Version 1.0.2 - fixed some things. Changed OCDs in level 2 and 10. Version 1.0.3 - reorganised graphics (images cut into smaller pieces and removed folder GoosweekGraph), level 7 deleted and created again. Version 1.1.1 - fixed friction in level 7. There is 1 current download. Show 8 archived downloads. Mh, was OCD really unachievable for level 1? I assumed you wanted the player to have to use the shaking bug. Seemed to be tough, though, haven't been able to free one so far. Edit: Forgot that I had OCD'd it. Did it again yesterday and was pretty confused when I still saw balls +0 at the end. Shaking Bug no works correctly all the time. 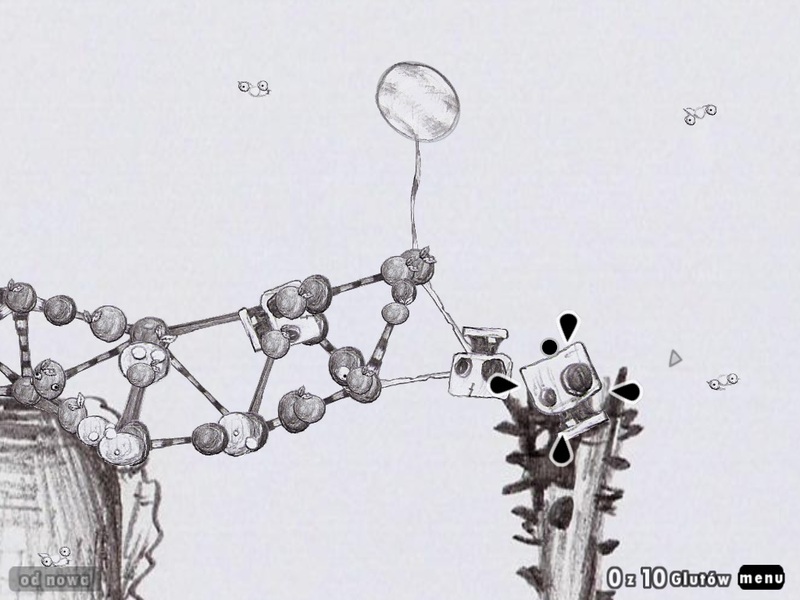 When the ground is sticky, often all attached goos sticks to it after "bug action". The 31 balls OCD is maybe not very difficult, but there is no chance for surprise. i LOVE all your levels. doesn't matter that i can't finish many. PS: don't use polish letters, they don't work. Wow! They are hard! If you were trying to make these difficult, you sure succeeded! I managed to OCD the first, but haven't been able to finish the other two yet. Good job! You're a good artist, by the way. Don't try to beat the 3rd level like seen on the screenshot. Then it's relatively easy. Yeah, I beat level three, just didn't get OCD. Some of those GooProducts rocketed into the spikes. Rats. All graphisc (but not the goo balls and signposts) is scaned from the white paper. PS: there are two votes that (some of 1-5) EL are impossible to complete. What about level 7? Finally got to try level 7 tonight. Done in 0 moves. 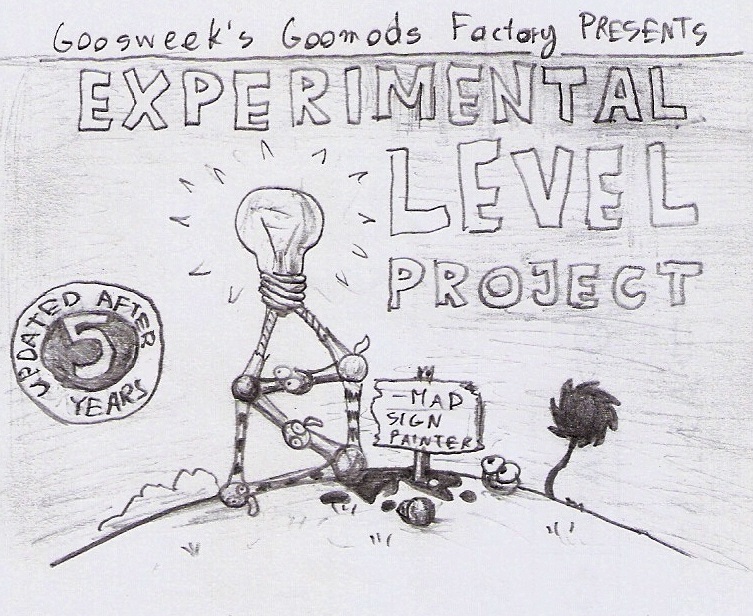 Btw, I think that that kind of experimental levels is a very cool idea. I want to see more of these. I'm sorry to hear that you don't like it. OCD'd level 6 without throwing, though. Great levels, very hard but fantastically well done cant wait try any new one you make, also looking forward to this being a chapter if thats ever possible with the modding tools ;D.
Hello, I have a problem. The levels don't work for me. I install them with GooTool, but they don't appear in the chapter 1. I'm on a mac, could somebody help? Make sure you have WOG patched. Unfortunately, this does not apply to Mac. I've yet noticed that GooTool says in the description that these levels depend on "Experimental Graphics". Where can I find it? It was a bug. I want to divide this addin into two parts, because of large file size. The version 0.4.2 hasn't that problem. Probably, when I add 10th level, I will use JPG format. If you do, please use the original higher-res versions from earlier versions as a source. The lower-res graphics you mentioned have kept me from d/ling 0.4.x so far. Just a suggestion, of course. I like these experimental levels! Interesting, in 9th level when you pull the lever, in the goo dispenser anti-gravity goos go up! Yes. I've discovered this behavior, but I think it's possible to fix it. Played the two new levels yesterday (collected 41 on #9, less is possible but hard) and there are two bugs in level 9 related to the antigrav balls and the pipe. When you use an antigrav ball for the last connection, it is not correctly sucked by the pipe and other antigrav balls are not properly sucked in. When the last ball is a common, everything is fine (although some antigrav balls still seem not to be sucked in correctly). Didn't check the XML, but do you use a negative mass value for the ball type? If so, the pipe's suction doesn't seem to be able to handle it. Anyway, very good ideas on those last two levels. Finally got around to playing these some. Very cool. I can now oficially say that (in my opionon) you are a really really good artist. These are some really cool levels! I got 44 goos on level 9. But because of the sucking antigravity goo bug I accidentally lost 5 black goo so 49 is my best! That sucking goo bug is really strange. 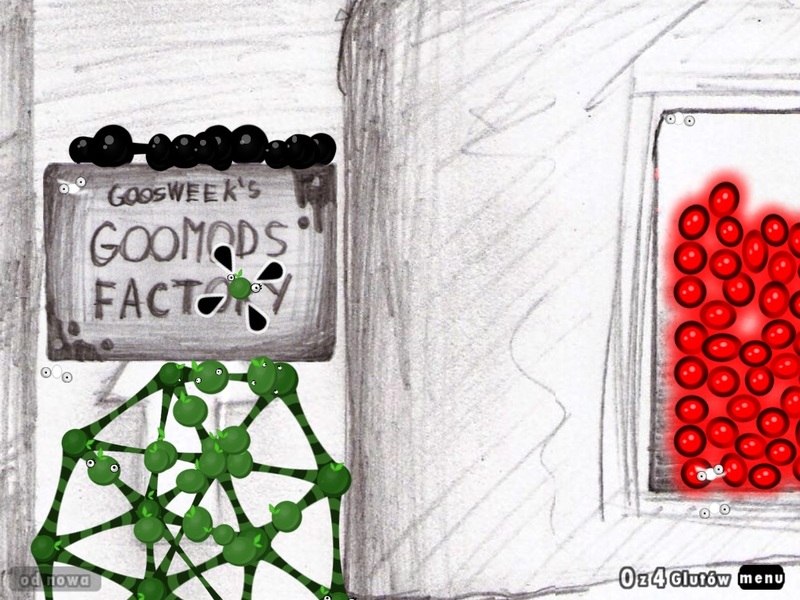 My Goos haven't negative mass. Bug is with antigrav. Probably because of this in World of Goo antigravity balls (balloons, Zbombs) are not suckable. Yep. I spent a really long time on level 8... Looks 100% impossible to me. 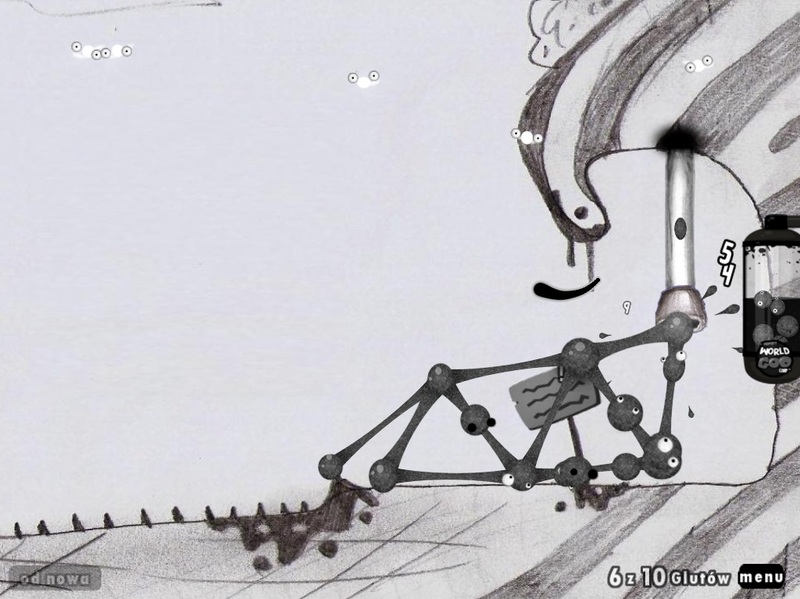 If the Idea_Of_Goo wasn't auto-attaching, it might be possible, but he's really hard to get inside the pipe. Maybe if he were draggable? Balloons sure act like they could get sucked in the pipe, though- they aren't repelled by it like is the problem here. Maybe you should take a closer look at the balloon xml. Level 8 is not impossible, there is a different way to bring the bulb back to the pipe. Ok, I'll take another look! 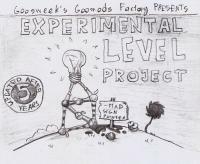 I was recently updating all my goomods and this level pack hung wog. Got 9 Moves in Level 10. Got one yesterday evening, as planned. I think in Level 10 that 0 Moves is possible. Think so, too. But it's not easy to hold the structure down long enough. Level 8 is way too hard! please add a supporting platform so I can get the GGF block to the other side without the stucture screwing up and have the GGF block fall into the pit AND run out of timebugs to undo the mistake. When I open level 7 on version 0.5.1, it crashed my computer and the game can't closed. But if you send the albino strand to the hill so after the explosion, the albino strand can fall to the pipe. You have to do that anyway, even for one move. But without attaching Pokey, the strand gets pulled up by the bulb very fast. That's why it's hard to keep it down. Oh. I see, so 1 move is only possible in level 10. I didn't expected that the bulb is attached to the albino goo. thB, you're genius! On my second thought, Goosweek, did you see the 40th comment? I don't know why level 7 crashs. In version 0.5.0 I had this problem too, but after small remake (I stll don't know what was the bug) I haven't any bugs in version 0.5.1 on my computer. And now it's in a PERFECT formation on chapter 5! THIS COULD BE A NEW REVOLUTION! ive found a scary in level 8! What's so scary about it, exactly? It's just a level, dude. Calm down. These 10 levels don't work for me, it crashes all the time when I open level 1.